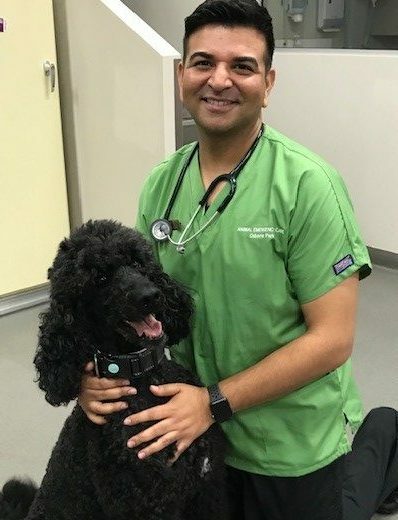 Dr. Amit has recently joined our Animal Emergency Care team, bringing with him a wealth of knowledge. Amit graduated with honours from Bachelor of veterinary science and animal husbandry in 2003 from Punjab Agricultural University. He received his Masters in Gut Microbiology from University of Manitoba in 2007. He has worked as a research Scientist at University of New England and has completed his DVM program (by examination) through American Veterinary Medical association in 2011. Amit’s particular interest in veterinary practice is in emergency medicine. Amit has a French bulldog called Oreo that keeps him entertained at home along with his 11 year old son. 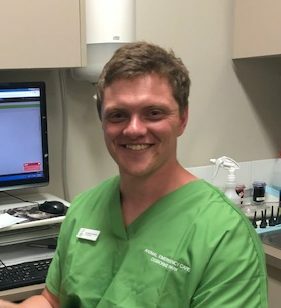 Dr. Curtis is a Murdoch graduate and has been working in a mixed (small and large animal) practice for 3 years before joining the Animal Emergency Care team. He has a maltese/shih-tzu x called Johnty. His interests include playing sports and scuba diving although finding the time is difficult with a new baby at home! Dr. Denise is a recent graduate from Murdoch University and is currently completing an internship with Animal Emergency Care. She is originally from Singapore where she previously went to art school to study and create sculptures and has also done ballet for 10 years. On her time off you might find her at the gym. 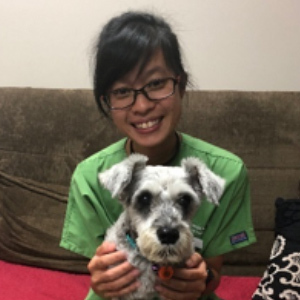 She has contributed her veterinary skills to wildlife conservation by taking a trip to Thailand for elephant conservation as well as to Cairns for sea turtle rehabilitation! 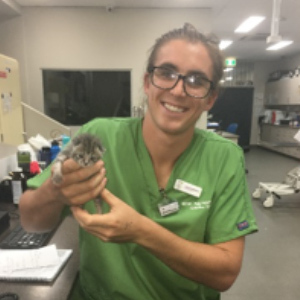 Sam attained his veterinary degree from Murdoch University and has completed an internship at Animal Emergency Care. Sam once spent a year volunteering for a community project in Nicaragua, he loves working with animals and he is the proud owner of a dog called Ellie. Sam enjoys his role as one of AEC’s talented community events representatives. Sam once completed a rubix cube, and he has an inner desire to become famous…he’s just not sure how yet. Born and raised in urban Singapore, Tezella grew up with 3 dogs, a dozen hamsters, 2 tortoises, a rescue rabbit, and several fish. However, it has always been a dream of hers to be a vet volunteer at animal shelters and participate in wildlife and conservation programs. She took her first step in fulfilling that dream when she graduated from Murdoch University as a veterinarian. 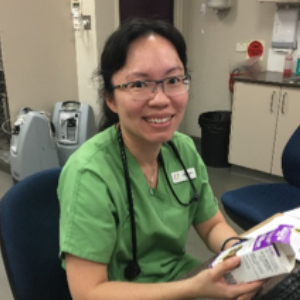 From there, Tez broadened her experience working in an exotics and small animal general practice in Singapore before joining AEC. 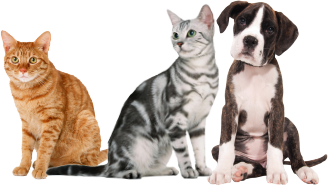 She devotes herself wholeheartedly to all her patients and is committed to providing great veterinary care. In her free time, Tez volunteers at animal shelters in Singapore and Thailand. Outside work, you will find her and Belly, her miniature Schnauzer, taking a stroll in a park, running along the coasts of various dog beaches, or going on road trips and tours with her family. 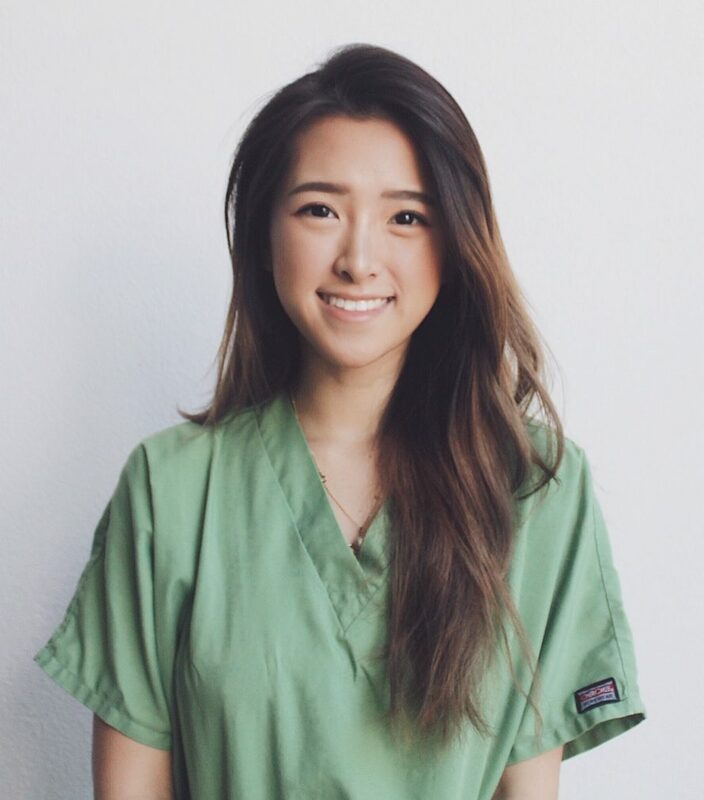 Michelle originates from Kuala Lumpur, Malaysia, where she obtained a qualification in veterinary medicine in 2009. She then graduated from Murdoch University with a Bachelor of Science in Veterinary Medicine and Surgery in 2012. Michelle joined AEC as a new graduate and has been here ever since. Her passion for emergency practice led her to being admitted as a Member of the Australian and New Zealand College of Veterinary Scientists by examination in Emergency and Critical Care in 2017. Michelle is a black belt in Taekwondo, attaining the title of WA State Champion in Poomsae in 2015. She is also the owner of Fentanyl Patch, a rescue cat who thinks she is a Labrador as she is partial to eating things she shouldn’t. Louise hails from The Cotswolds in the UK and came to Australia in 1999 where she completed her Veterinary Science degree at University of Queensland. She started working in emergency practice at Murdoch in 2007, where she attained her membership in Emergency & Critical Care. 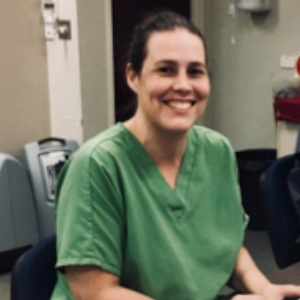 Louise joined Perth Veterinary Specialist’s emergency care team as head vet in 2014 and aided in the establishment of Animal Emergency Care as an emergency and referral veterinary hospital. Louise enjoys spending time with her rescue fur-babies, and she is pursuing her environmental and recycling passion by implementing a rain-water harvesting system as part of her home renovations. 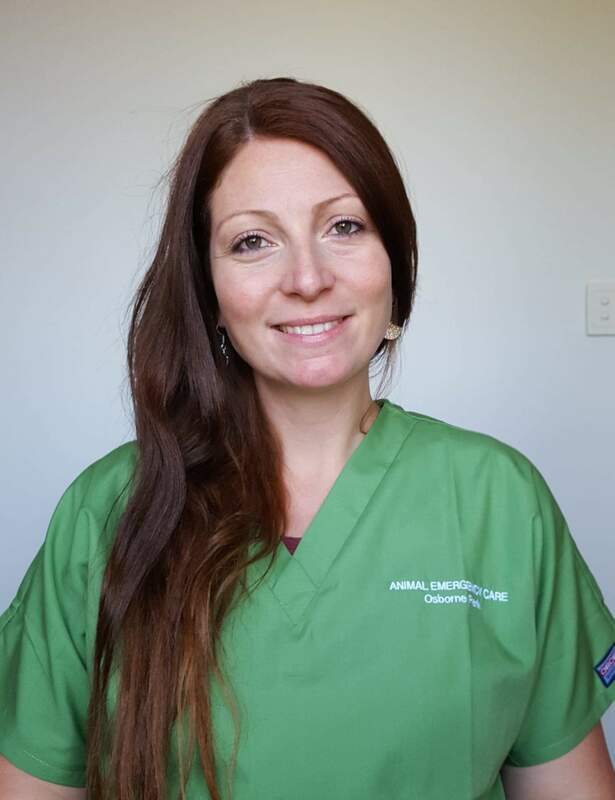 Gabriella received her Bachelor’s degree in Veterinary Medicine from the University of Bologna in Italy and has since gained registration in Australia. She has worked as a veterinarian in small animal practice in Italy for 3 years before moving to Australia at the end of 2012. 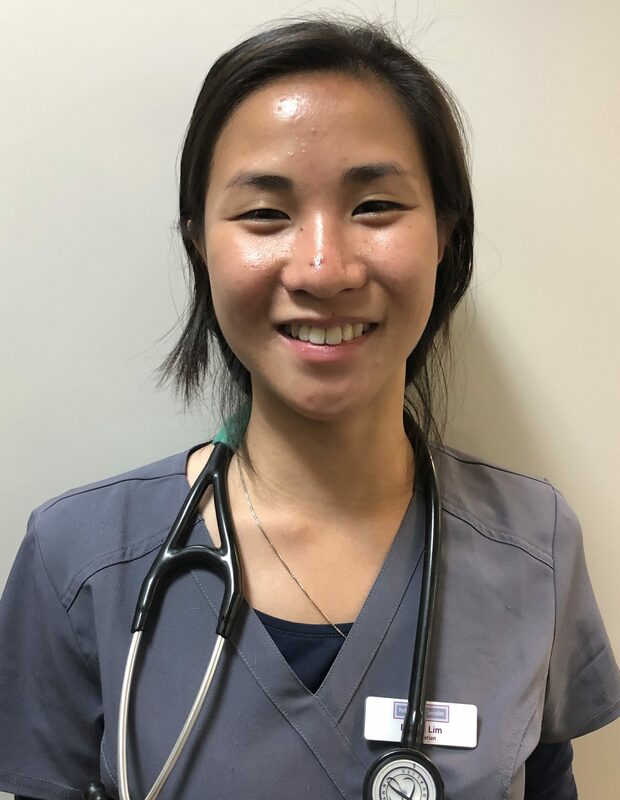 Gabriella worked in Sydney until the end of 2013, when she travelled to WA to join Perth Veterinary Specialist’s Veterinary Imaging Centre before joining the Animal Emergency Care team initially as a veterinary nurse and we are now pleased to have her as part of our vet team.